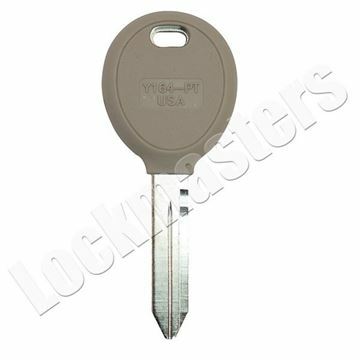 The best part of being a locksmith is you don't need keys! 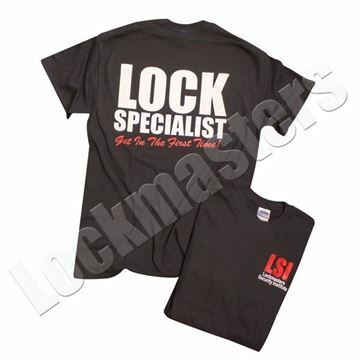 Let the world know you're a trained professional locksmith with this great t-shirt. 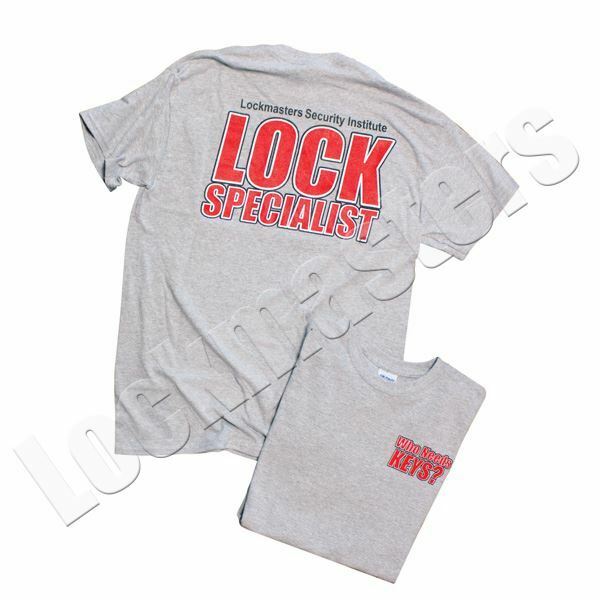 Three color (white, black & red) full front and a full white, black & red back print on an athletic gray short sleeve t-shirt.